Haiti has lost nearly all of its forests, going from 60% to less than 2% tree cover over the course of the last 80 years. Timber accounts for over 70% of the country’s energy consumption, making replanting trees more necessary than ever. Furthermore, trees help to eliminate soil erosion, something that Haiti desperately needs as hurricanes and earthquakes continue to cause landslides throughout the region. With only 2% forest cover, Haiti is in desperate need of trees. Despite our government’s best efforts, our economy has been ravaged by natural disasters and hard times, making internal tree planting a challenge. 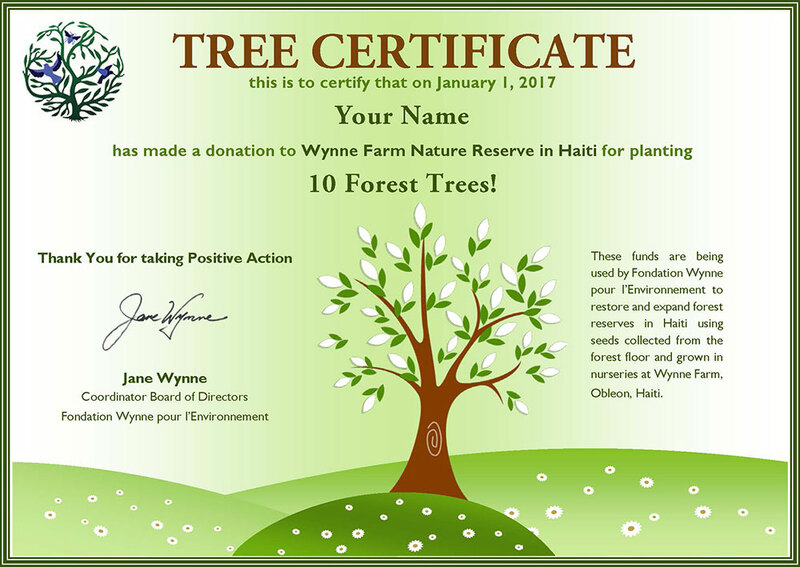 Every donated tree makes an enormous difference for our cause! Donate today to help Haiti spring its forests back to life.